Award-winning cooking classes taught by experienced and talented chefs, in a stunning, contemporary kitchen. Cambridge Cookery is an independent cookery school offering award-winning hands-on culinary experiences led by inspiring and highly experienced chefs in a stunning, contemporary kitchen. No matter your level of experience, age or particular area of interest, we are here to share our skills with you! We run classes and courses in a range of culinary traditions and themes, and we always teach in small, intimate groups. Our classes are always very hands-on, and very fun. See the list of classes and courses here. Treat your team to an unforgettable experience with us or let us arrange a unique Hen Party, birthday party or special occasion get-together. We can create a bespoke, fun and hands-on private class for you, no matter your group size or requirements.  Find out about corporate events here, and about hen parties and birthday parties here. Our top quality kitchen has been described as second-to-none. Equipped with state-of-the-art facilities and equipment, your cooking experience will be unrivalled. All our events lead up to a wonderful shared meal served on our trademark Scandinavian tableware and enjoyed with a glass of wine. Cambridge Cookery is an entirely independent cookery school. Join us on a culinary trip in one of our homes away from home! The Marche region of Italy; small, beautiful and mountainous with exquisite wines and produce, and Stockholm, where we dive deep into indigenous traditions such as foraging for wild mushrooms, baking in wood fired ovens, and of course, enjoying ‘Fika’! Cambridge Cookery is an approved activity provider of The Duke of Edinburgh’s Award residential courses, and our fantastic cooking for university courses give students the skills and confidence to cook healthy, delicious food for life. We also offer Chalet Chefs courses – find out more here. Thank you for a fantastic evening. Everyone enjoyed it, but most importantly Susie said how perfect the evening was. The atmosphere was exactly what I wanted to achieve and everyone loved the food that we created. I think it's great to be able to inspire people to be able to cook such amazing food. So thanks to you and Tracey (who was great) and the rest of the team. We will be sure to come back! We had an unforgettable weekend with Tine and 8 other guests on the Cambridge Cookery's slow food trip to Le Marche. It was colourful, generous, magical. Tine put together a beautifully paced and varied programme, each element of which was perfect. The itinerary was packed with delicious food and wine, and incredible experiences. Tine has a lovely talent for putting everyone at ease, and of course for opening doors we never would have found. We were completely charmed. We hosted our annual team building event at Cambridge Cookery and had a blast! We had a 'Great British Bake Off' style competiton. It was great to see the team so engaged and working together. The cookery school is clean and modern. The staff are super helpful and made the Bake Off a memorable experience.  I would definitely recommend the Cookery School to businesses or large groups looking for something fun and engaging to do together. Great place for team event! I was given a voucher to attend a bread making course at Cambridge Cookery. On arrival I was greeted by freshly made brownies. The staff were very friendly. The day started with a talk then we started making different breads. We made cinnamon buns, rye rolls and lots of other delicious breads. We ended the session with a delicious lunch and homemade doughnuts! I would thoroughly recommend attending a course here. Visited with a group of 10 for a 2 hour cooking lesson - we selected the curry menu and made the most delicious meals! We made so much food that the 10 of us had a big lunch plus took enough home for lunch leftovers the next day! They catered for a vegetarian in the party too! We spent 3-4 hours in total and had a lovely relaxing lunch in the sun after - at no point did we feel rushed. Staff were so helpful, friendly and knowledgable. They couldn't have given us a better experience. Thank you for a fabulous morning! Two of 5 plates from last night’s charity dinner for Something To Look Forward To charity accompanied by a flight of botanical gins from Cambridge Gin Lab. Introducing our new Head Chef! Well, welcome Chef! Looking forward to meet you! Jamie Mountford Excellent vegetarian selection, love the texture of cooked jackfruit. They’re so delicious deep fried in light batter too. Sounds great!! Best of luck Jamie Mountford ! Smash it!!! Yay!! Well done, Jamie Mountford. You’ll be amazing! I shall look forward to some freshly baked hot cross bun tomorrow! We just may do that!